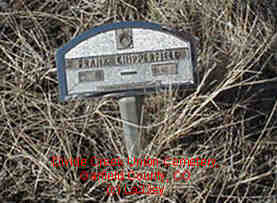 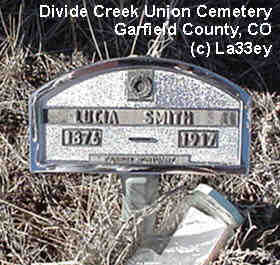 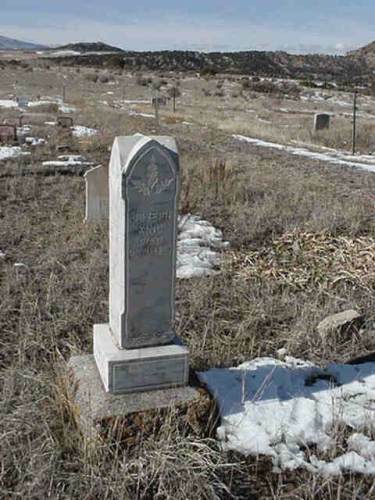 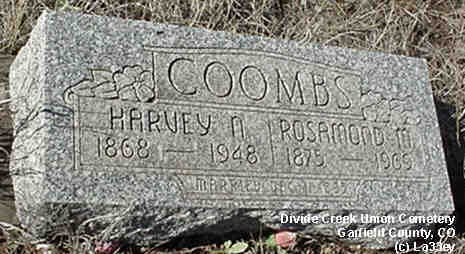 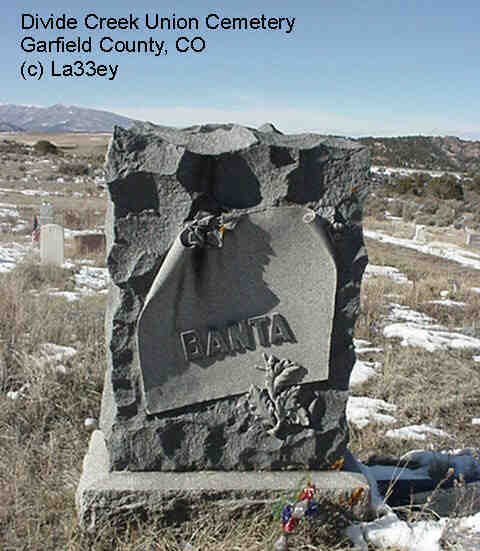 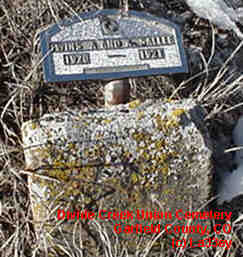 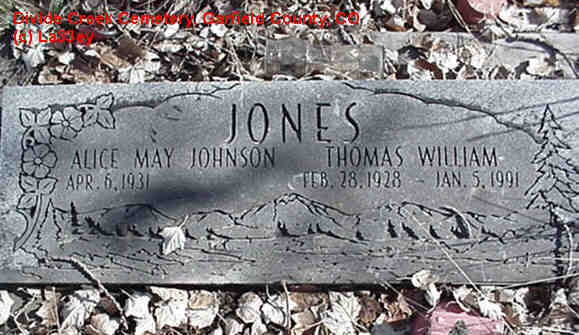 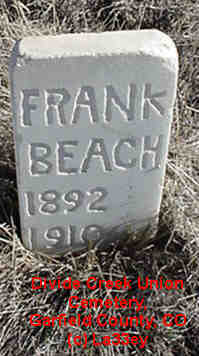 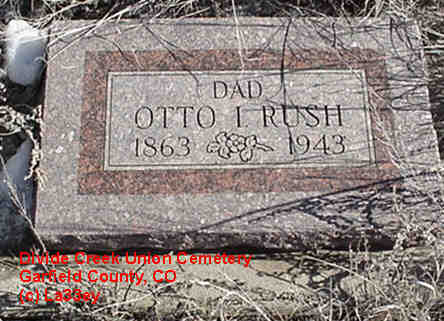 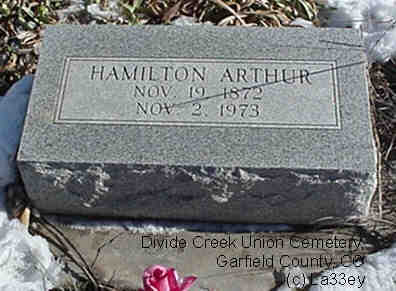 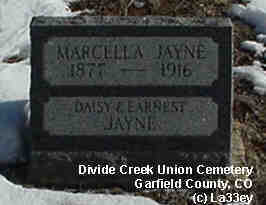 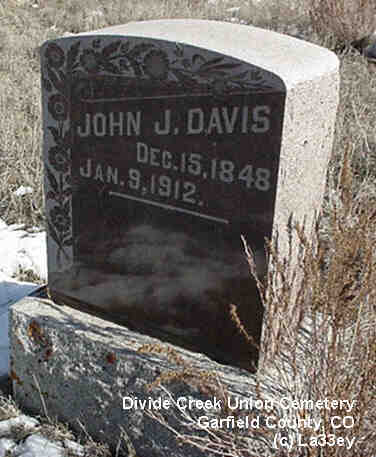 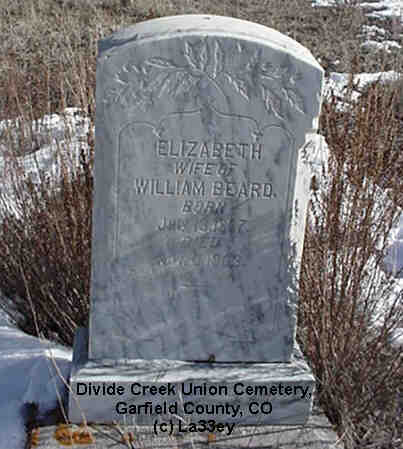 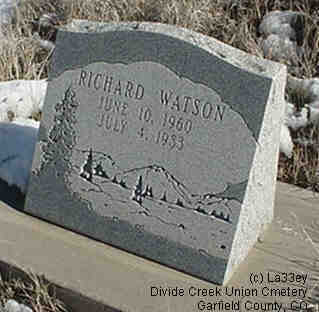 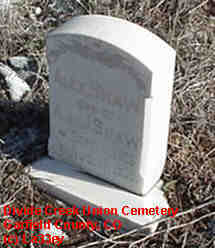 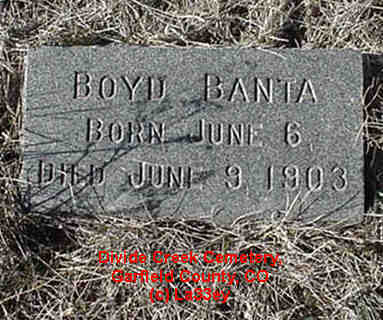 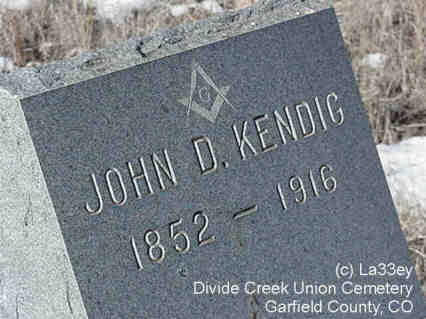 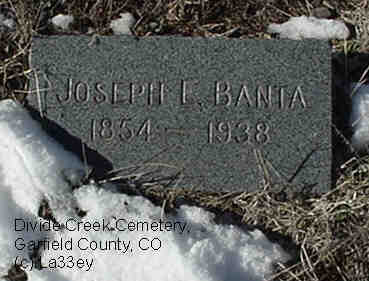 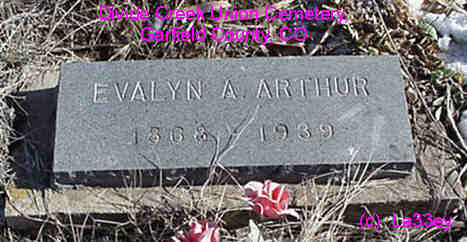 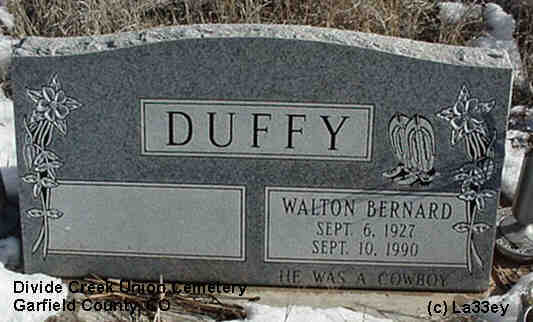 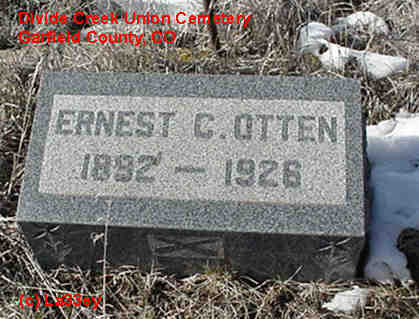 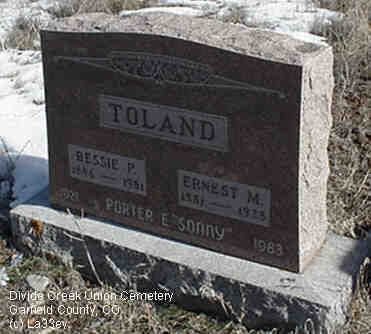 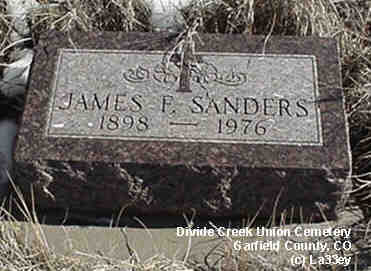 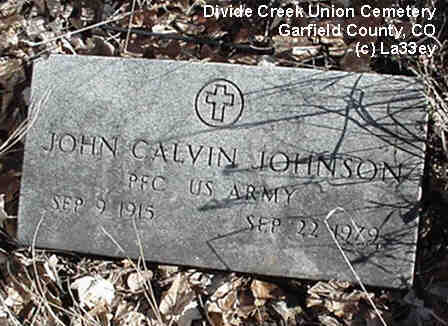 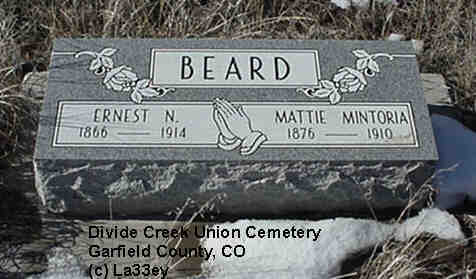 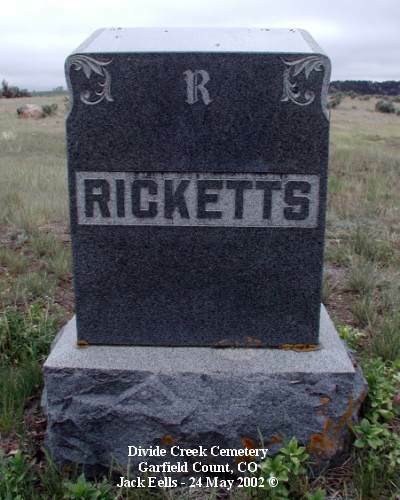 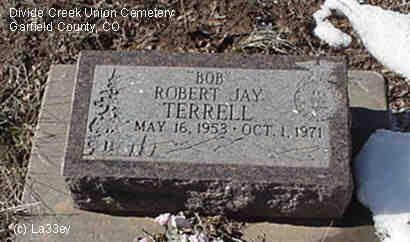 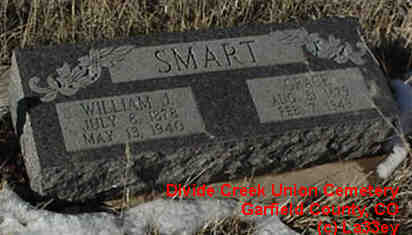 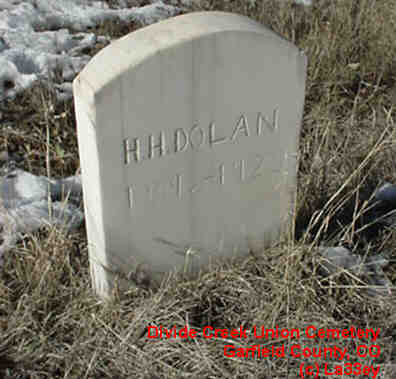 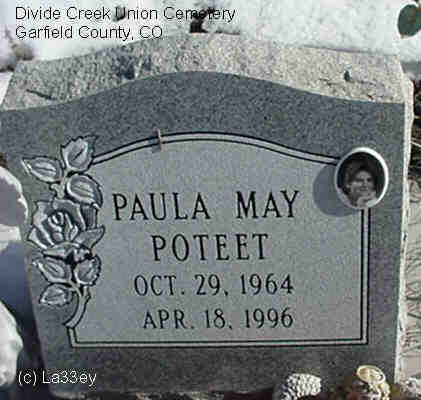 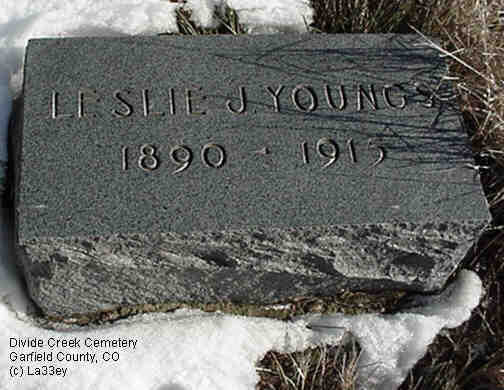 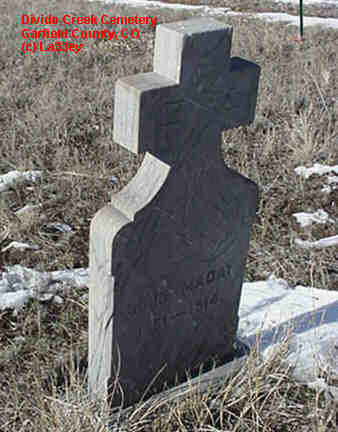 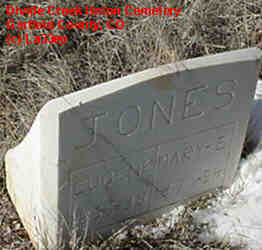 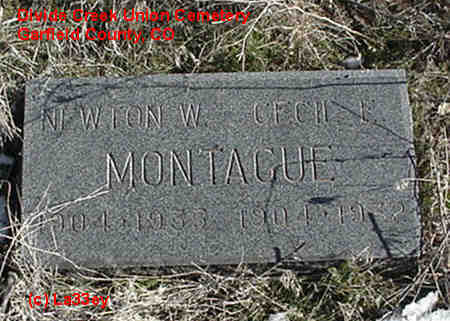 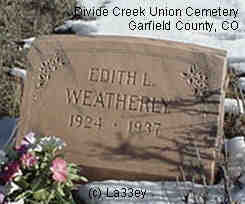 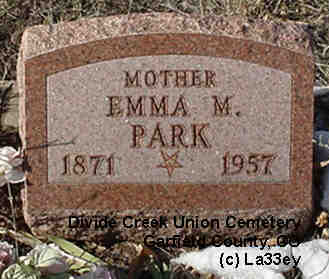 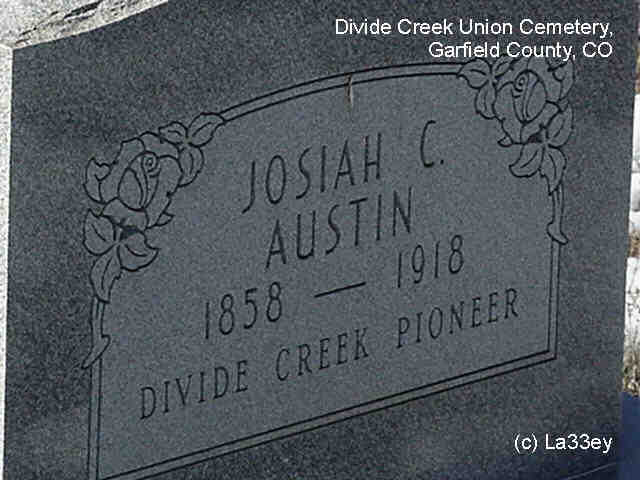 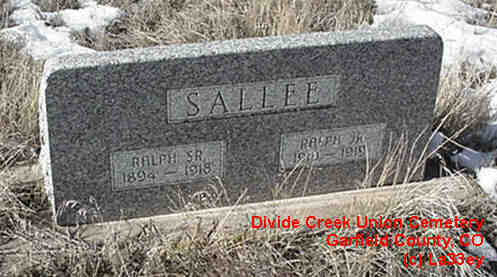 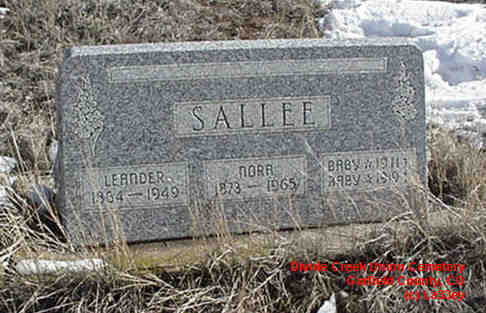 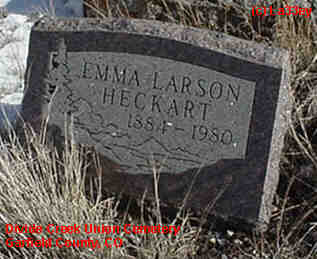 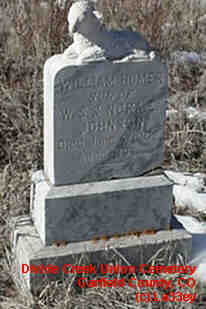 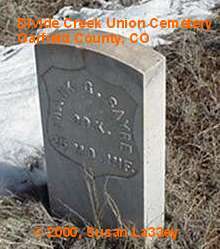 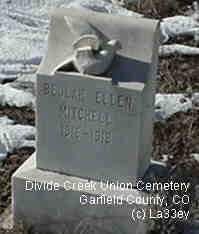 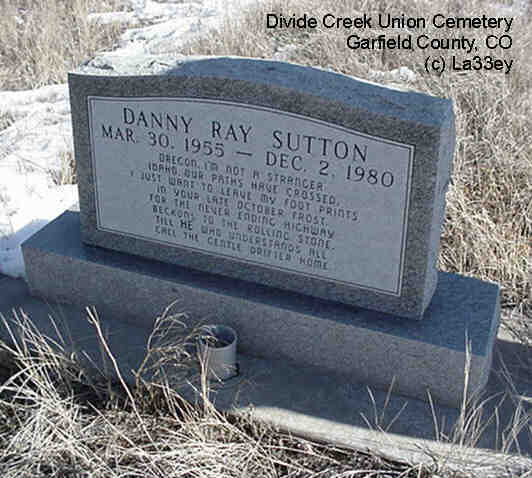 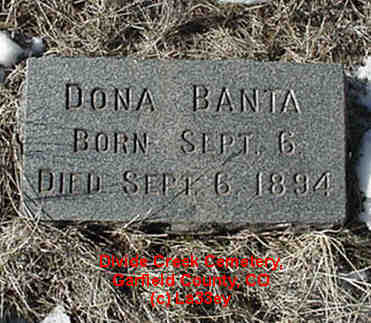 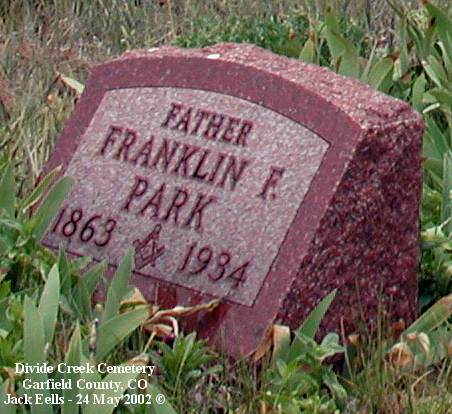 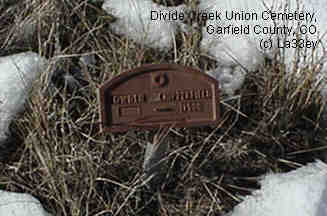 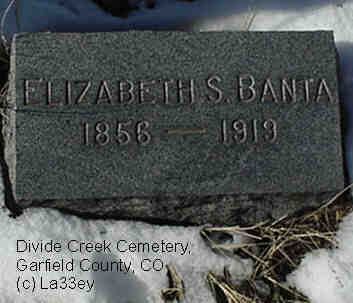 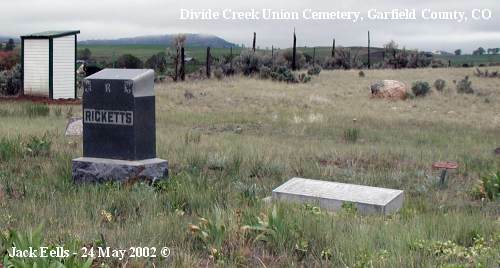 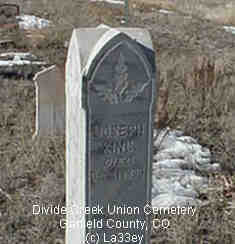 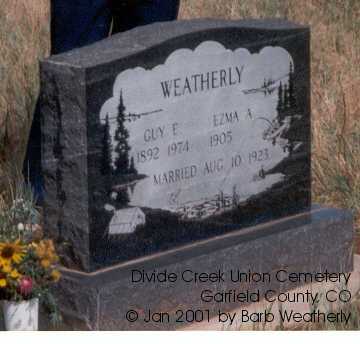 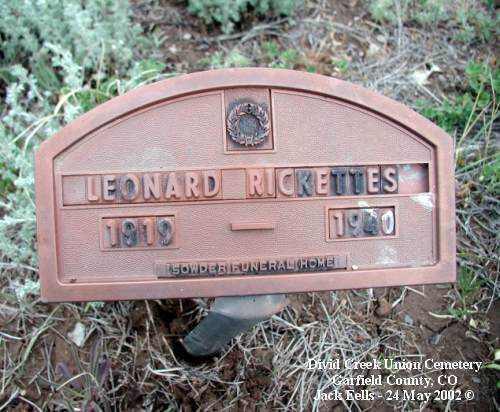 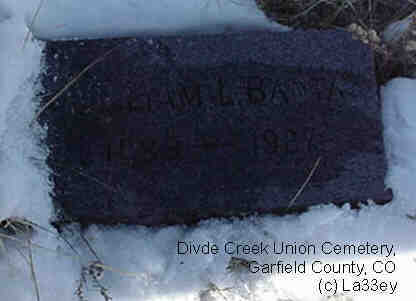 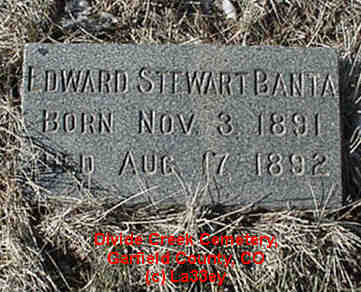 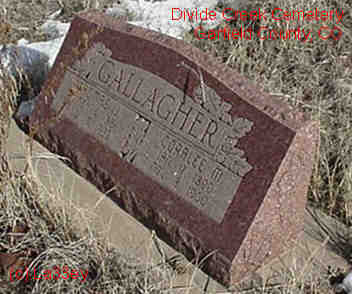 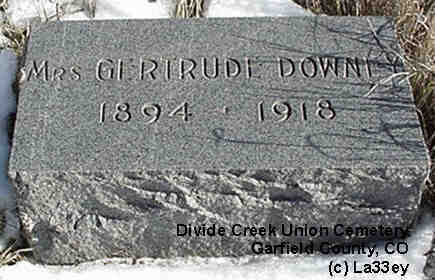 The Divide Creek Union Cemetery is located in the Fairview area south of I-70 up Divide Creek Road. 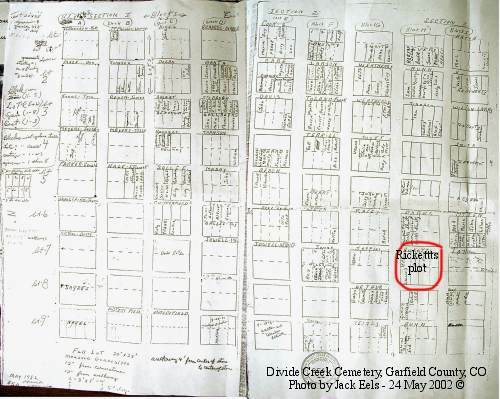 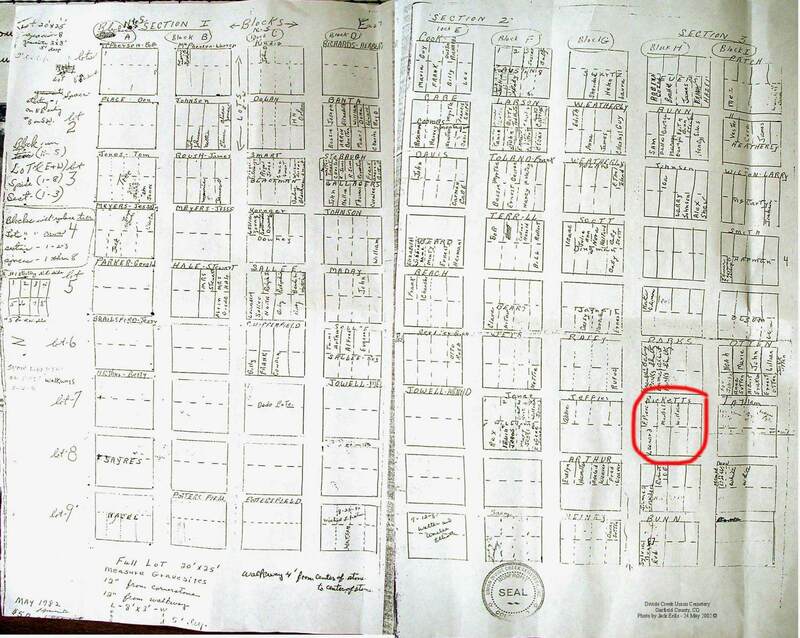 Photo of cemetery plat map with names (This file is quite large (314 KB) and could take some time to download.). 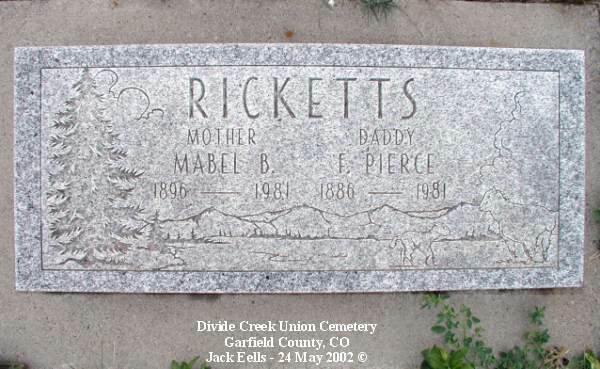 Plot map with Ricketts plot highlighted.